My comments this month are intended to cover a number of important issues. North Norfolk District Council for Sheringham to Lowestoft area. Shepway District Council covering Dover to Beachy Head. Arun District Council covering Beachy Head to Selsey Bill. I have tried to obtain information on what the Sheringham to Lowestoft proposed plan will contain but have been told no information will be released until public consultation. So I shall have to have a shot at predicting what they will say in the broadest of terms. One thing I think we can be sure of is that the SMPs will not reflect the true aims and requirements of the Lead Authorities. Quite simply I believe the parameters set by DEFRA were too narrow and will ultimately therefore only reflect the DEFRA view of what should be done. Neat trick that because I believe when we the public see these SMPs we are not going to like them one bit. I believe they will advocate saving, or protecting, only the major conurbations and let the rest go. Obviously they will dream up some new policy title for areas where they intend to do nothing it used to be called managed retreat ( but that implied some kind of management which there was not) that then became coastal realignment what, I wonder, will the next euphemism be? May I suggest one a little closer to the truth, abdication of responsibility or dereliction of duty spring to mind. We all accept there must be a more complete approach to coast defence and very little can be viewed in isolation. If our Government or the Civil Servants decide that much of our coastline, as we know it, and many of our historic coastal settlements and communities must be sacrificed in the greater national interest (not a view to which I and many others subscribe) then they must MANAGE that sacrifice, or retreat, effectively. When a motorway or airport runway is built in the greater national interest those who suffer losses as a result are compensated fully that they may make a new life elsewhere. All we as coastal dwellers ask is parity. We need a mechanism by which any coastal retreat or realignment can really be managed effectively and those who face a total loss situation because our Government wishes to allow the defensive line to be moved landward are adequately and effectively compensated for being forced to surrender their homes, businesses and communities in the perceived wider national interest. I very strongly and firmly believe that the three pilot SMPs when presented for public assent can only be accepted by our elected members if and when they include complete and just means of mitigating the full socio-economic impact on our coastal communities. That is the only circumstance under which they should meet with our elected members approval. To return to my earlier comment of neat trick, DEFRA have drawn up the parameters under which these new SMPs are put together. So when they meet with our disapproval DEFRA can say, it’s nothing to do with us it was the lead authorities who created the SMPs. As I said neat trick, not entirely honest but then DEFRA will do anything to put the Lead Authorities up front. To the elected members of the Lead Authorities I would say when you come to vote on these Shoreline Management Plans on our behalf please remember we will only accept them if they are a complete management philosophy with full mitigation and or compensation for the havoc they are probably going to wreak in socio-economic terms on the many coastal communities around our shores. If they are perceived to be the best way forward in the wider national interest then the nation must take full account and compensate accordingly. Another major factor which influences the lives of our coastal communities is offshore dredging for aggregate. The Europeans are in no doubt whatsoever that aggregate dredging causes or exacerbates coastal erosion. Indeed we were assured of that on the occasion of our visit to Brussels and meeting with Eurosion project team members. That assurance was contained in the Eurosion draft policy recommendations (Dec 2003). I knew when I returned from Brussels that the information I now had was dynamite. I also knew that our lot, Ministers and Civil Servants, would not take that lying down. For years they have got away with saying, as Elliot Morley keeps repeating “ There is no evidence.” Well we returned from Brussels with evidence. To Elliot Morley I would say of course there is no evidence in this country because you have not and will not look for it. You know full well what you will find and that you would have to act on it. So I can only assume the British Government and Civil Service approach is do not look for evidence of the manifestly harmful effects of offshore dredging then we will not have any and consequently we will not have to do anything. Elliot you can fool some of the public all of the time, all of the public some of the time. What you can not do is fool all of us all of the time. They will not wish to give up their huge income from royalty payments and subsequent taxation of the products ( this amounts to approx. 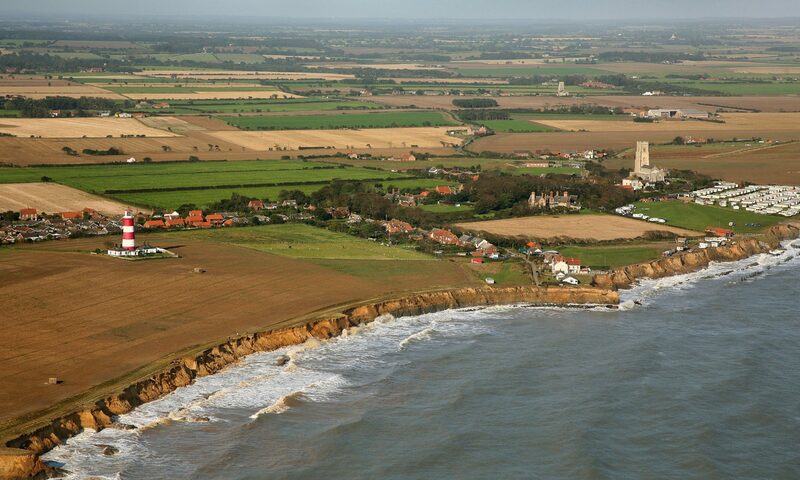 £1 million per week from off the Norfolk coast alone) so nationally the Government take is massive. If this Government is to meet it’s building targets for homes, particularly in the South East, the adequate supply of aggregates at what is deemed reasonable cost is of strategic importance. Yet again coastal communities are being forced to bear the cost, this time of an industry from which the companies involved and the Government are making billions of pounds annually. Elliot Morley when questioned on this income simply says the income from dredging is not directly linked to coast defences. Isn’t that amazing and ground breaking! Elliot old son my taxes are not directly linked to you or your Chief Engineer’s salaries but I still have to contribute to them and believe me that really hurts!!! How many more increasingly ludicrous excuses is DEFRA and Government going to come up with for failing to maintain for future generations the rich and diverse coastal heritage of this Nation? How much longer can they seek to shift the blame to the Lead Authorities when DEFRA themselves render those Lead Authorities powerless in this situation? How much longer can we hope to address effectively the problems of global warming, significant sea level rise and the change in weather patterns it would seem we face with a primary statutory instrument, the Coast Protection Act 1949, which is so outdated and outmoded in this modern environment. Indeed the 1949 Act it seems to me was only a revamp of the 1939 Act so we are trying to address a modern situation and new problems with a 65 year old toolkit!! We need change, we need change at every level. A good place to start would be with the primary legislative tool, a new Act of Parliament which actively prevents Ministers and Civil Servants from becoming ever more embroiled in the playground game of ‘pass the buck’. Remove permissive from the power let us have an Act of Parliament which is crystal clear in it’s apportionment of responsibility. All we have at the moment is an outdated statutory instrument behind which every level of authority can and does hide, pointing the finger of blame at others whilst doing nothing themselves. Let us have an Act of Parliament which removes the need for Secretary of State and Ministers having to approach the Treasury each year with a begging bowl and a plea to the Chancellor of the Exchequer “please sir may we have some more that we can save our nation from drowning.” Only to be slapped on the wrist with the Treasury Green Book or Multi Coloured Document and told no! Presumably because the Chancellor has to retain billions of pounds of our money to throw around the world protecting us from what is not there anyway. Sounds a bit like a Brian Rix farce to me, unfortunately it is not. As I see it unless and until measures are put in place to ‘square the management circle’ and compensate said landowners and homeowners then their sacrifices and losses are disproportionate and therefore in direct contravention of the Bill of Human Rights.